Powered by federal stimulus funds, the Lee County government is buying and rehabilitating foreclosed homes to sell at extremely affordable prices. 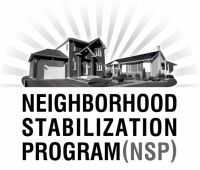 To date, the NSP has helped 162 homeowners to successfully achieve home ownership through NSP. The NSP of Lee County has purchased a total of 196 homes, using local contractors to rehab homes to then sell to qualified buyers. The NSP Program will last only as long as federal funds are available. If you still have questions, you may want to consult with the housing counselor that you worked with in making the original NSP application. The program is not currently accepting any new applications. Homes for Heroes provided homeownership opportunities to eligible essential service personnel in conjunction with the Home for Teachers/Homes for Heroes Program. The project consisted of sixty (60)condo units in Osprey Cove, located Estero , FL. The project was completed in 2006.